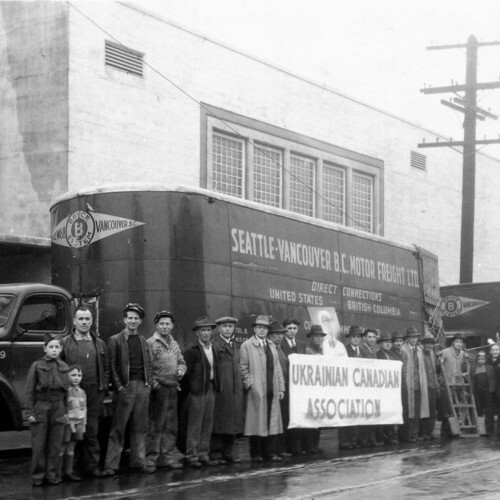 A group photograph of the Ukrainian Canadian Association standing outdoors in front of a truck. The men in the middle hold a sign that reads "Ukrainian Canadian Association". 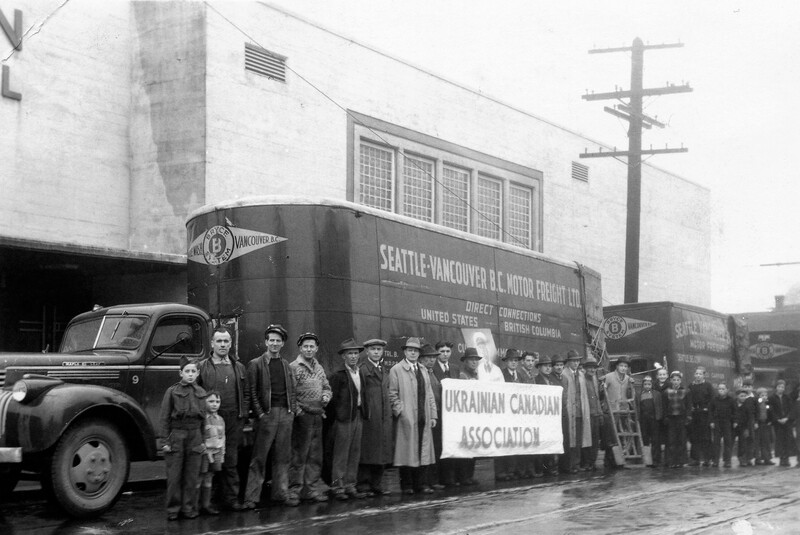 “Ukrainian Canadian Association,” Association of United Ukrainian Canadians - Vancouver, accessed April 26, 2019, https://auucvancouver.digitalhistoryhub.com/items/show/306.